Prima Power is proud to announce the opening of a new site in Seinäjoki, in Western Finland. 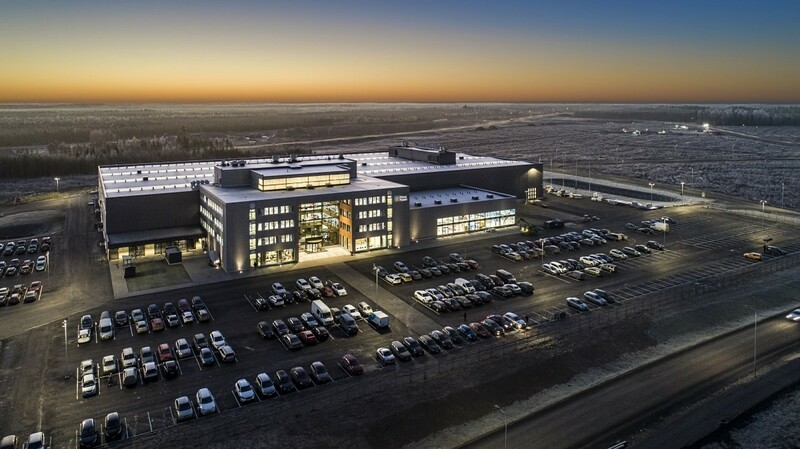 Finn-Power Oy, the company of Prima Industrie Group manufacturing Prima Power turret punch presses, combined machines and systems, relocated its manufacturing plant and Tech Center previously sited in Kauhava into a brand new facility in Seinäjoki. The 20,000 square meter facility was commissioned by the Seinäjoen Yrityskiinteistöt (company owned by the City of Seinäjoki) and built by Lujatalo Oy for an overall investment of around € 20m. The new factory was specially designed and built for Finn-Power Oy purposes, which rented it on a long-term basis. The new location, already in operation since November, was officially inaugurated on March 21st, 2019 in the presence of the Speaker of the Finnish Parliament Paula Risikko, the Mayor of the city of Seinäjoki Jorma Rasinmäki, the Italian Ambassador Gabriele Altana, the Chairman of Prima Industrie Board Gianfranco Carbonato, the Managing Director of Finn-Power Oy Juha Mäkitalo, along with other authorities, international customers, partners, and press representatives. An open house dedicated to Finnish Prima Power Customers took place the following day. “For a company it is a very rare occasion to have the opportunity to build a complete new factory - states Juha Mäkitalo. We have now had that possibility and are very pleased and grateful for it. For Finn-Power Oy the opening is also the occasion to celebrate its 50 years’ anniversary. A book on the history of the company was released at the opening event and it is one of our ways to thank all people who have worked for this Company during its half-a-century journey”. The over 250 guests who took part to the two-day event have attended to presentations and speeches and have been accompanied through a guided tour of the innovative factory. In the new plant 400 people are employed, equally divided between blue collars and white collars. As all companies of the Prima Industrie Group, Finn-Power Oy is strongly focused on Innovation, as it is also testified by the fact that 20% of the workforce is dedicated to R&D activities. The Seinäjoki plant manufactures all Prima Power punching, punching/shearing, punching/laser-cutting, and automation equipment as well as systems for the global market. Around 450 machines and automation equipment are delivered from the Finnish factory annually. The new premises consisting of over 20,000 square meters include a production plant (13,530 m2), offices (5,585 m2), and a showroom (1,550 m2). 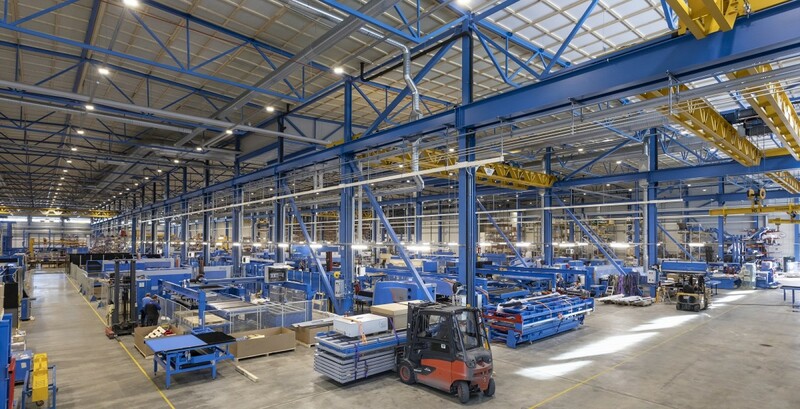 Compared to the previous facilities, the production capacity in the new plant is increased by 40%, thanks to a 30% increase of the production space, improved internal logistics, modern technology, an increased height of the building, where tall storage systems can be assembled in all parts of the hall and hoisting of machinery can be easily performed with big cranes. Prima Industrie Group places special attention to the energy efficiency of its sites. The new Headquarters & Technology Center in Torino, Italy, was built in 2016 with “green” materials and is self-sufficient in terms of energy, also thanks to photovoltaic and solar panels, a geothermal system, and a home automation system to reduce waste. The new Finnish production plant in Seinäjoki was built on this model. This building is in Class A and has a high energy efficiency. It was built with the most innovative "green" technologies and is equipped with an efficient heat recovery system, low-energy windows and solar panels. The part of the building hosting the offices was designed with a “horse shoe” shape, in order to allow as much natural light as possible. A modern lighting system adapts to daylight so that the best possible working conditions are always granted. Compared to the previous facilities, there is a reduction of 40% in heating energy. Finn-Power Oy belongs to the Prima Industrie Group since February 2008 and is part of its Prima Power Machinery Division. The Group has more than 1,800 employees around the world, over 13,000 installed machines in 80 countries and 8 manufacturing facilities in Europe, China, and the US. In 2018 the Group reported another record year, with revenues up by 3.9% to € 467m. The revenues of Finn-Power Oy in 2018 were € 161.4m. After the official event, on Saturday 23rd the plant will host 700 people for the “Family Day”. This will be the occasion for the employees and their families to celebrate the new location and the 50 years of the Finnish company, and for the Group Management to thank all of them for the success accomplished as a result of their efforts and dedication.